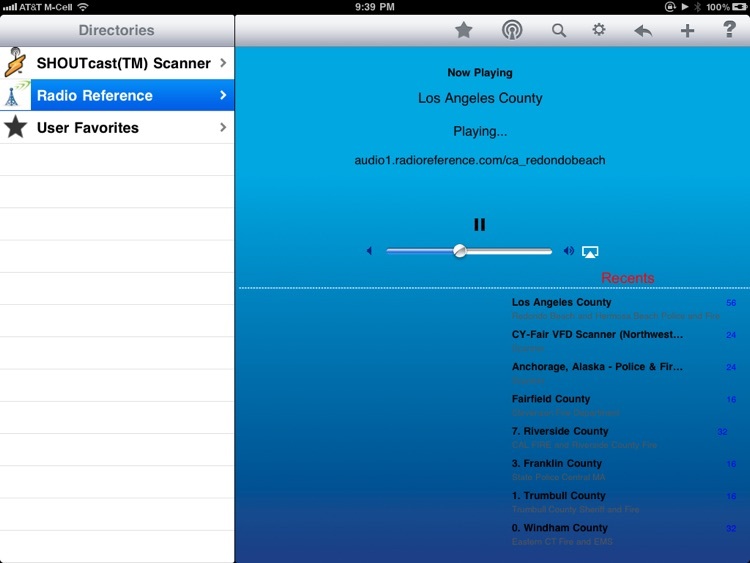 Listen to over 5,000 scanner radio stations including over 4,000 from RadioReference. 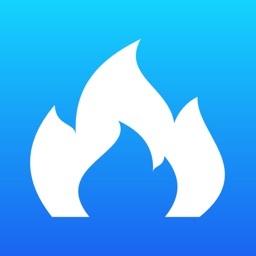 WE ARE THE ★OTHER★ SCANNER APP FOR IPAD THAT SUPPORTS BACKGROUND AUDIO! Do not be fooled by the competition. ✔ Includes the free SHOUTcast™ Scanner Directory, with over 100 stations. ✔ Includes the largest selection of scanners form RadioReference. 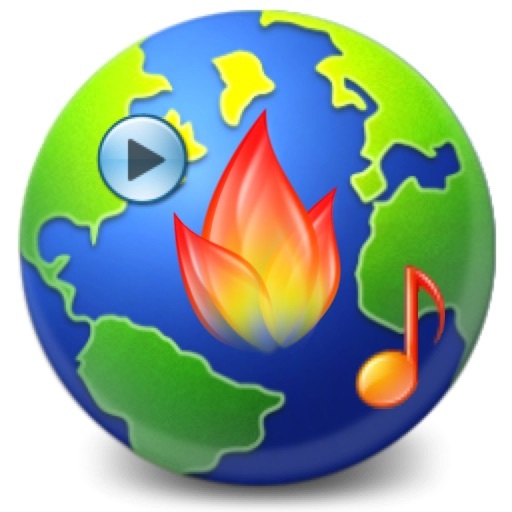 ✔ Background Play, background browsing of station web sites and background e-mail of station links. 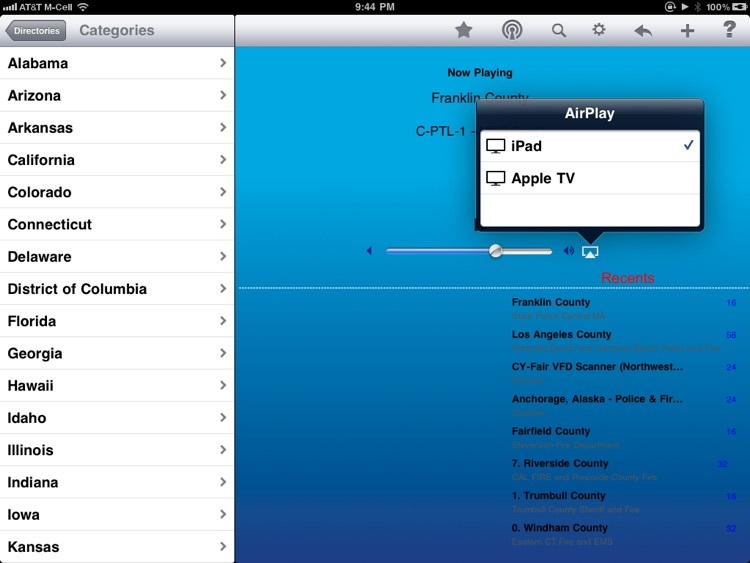 ✔ Supports AirPlay to let you stream stations throughout your entire house — wirelessly. 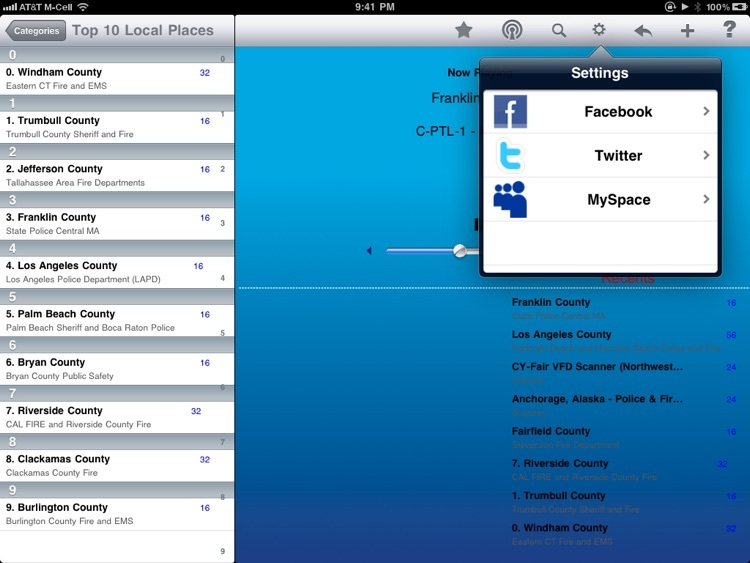 ✔ Includes Fire, Police and EMS stations in MP3 format. 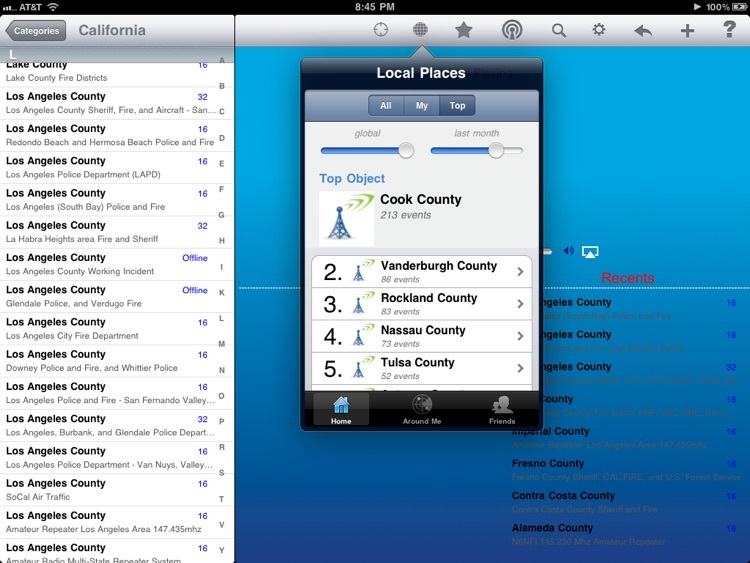 ✔ Allows users to select from nearby audio streams by US State and County. 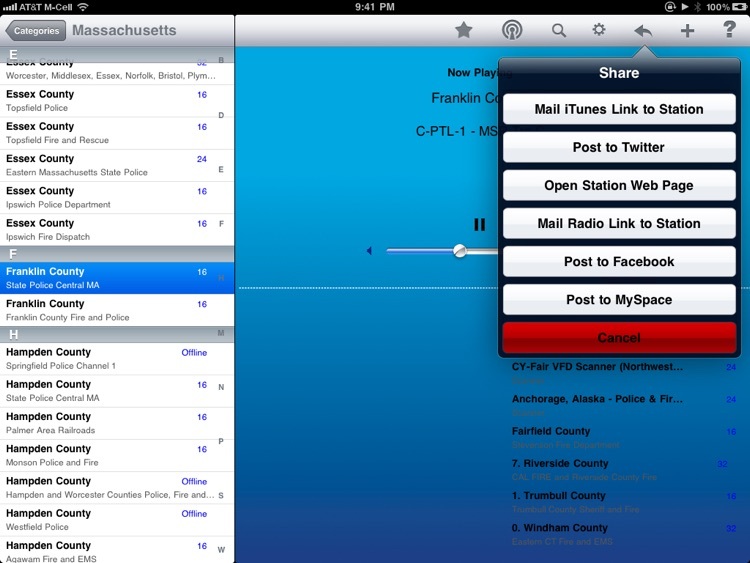 ✔ You can share with your friends the iTunes and Radio links to a station stream using your iPad Mail application. 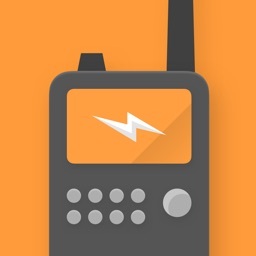 ✔ You can post your favorite links directly to Twitter, Facebook, or MySpace: tell your friends what scanner radio station you're listening to, "live", without stopping your audio to invoke an external social client! 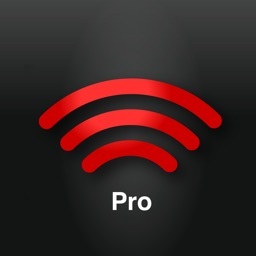 ★ Background audio in iOS4: stream keeps playing after you tap the home button. 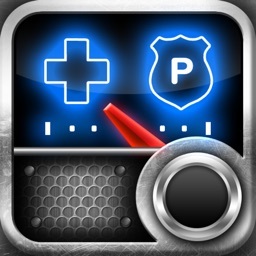 ★ Double-tap the home button to bring up the multi-tasking UI and slide over the remote controls to pause/resume playing. In addition, you can lock the device, bring up the remote controls on the lock screen and pause/resume playing. And it responds to pause/resume from external microphones as well. 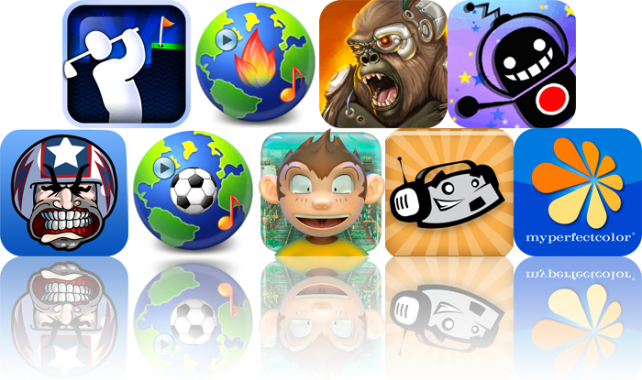 Play 261 holes of golf as a Super Stickman, listen to over 5,000 scanner radio stations on your iPad, and control a massive monster and crush everything in your path with today's AGF list.